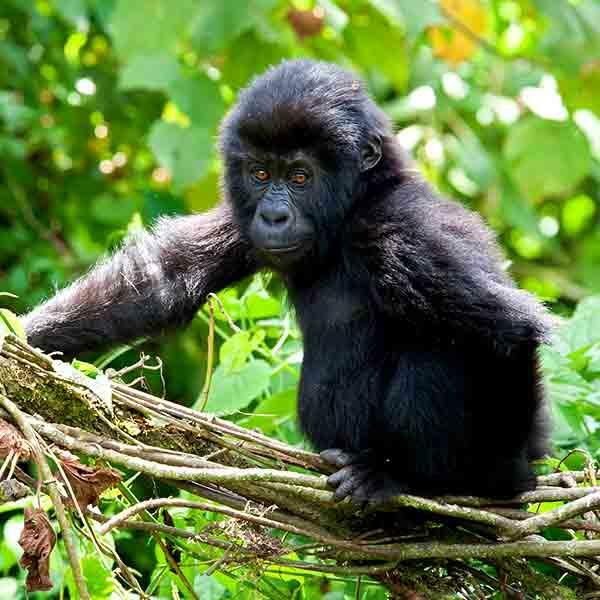 Trek from your luxury lodge in Bwindi to stare into the eyes of the world’s largest primate. Stay in a luxurious safari lodge set amid the stunning Virunga Volcanoes. Marvel at the majestic world below you, as you begin this Ugandan adventure soaring over the famed Lake Victoria and arriving at the mighty Bwindi Mountain range. Head into one the earth’s most ancient rainforests as you journey through the Bwindi Impenetrable National Park. This dynamic southwestern landscape features rugged, steep ridges where the Albertine Rift Valley creates an almost "impenetrable" rainforest, and the perfectly ideal landscapes for one our bipedal ancestors, the endangered Mountain Gorilla. Gazing into the expressive brown eyes of these giants is surely the most exciting and poignant wildlife encounter Uganda has to offer.